Tabanan, Bali – Alila Villas Soori continues its series of dining journeys presenting international guest star chefs and acclaimed figures from the world’s culinary stage. Coming up on Friday the 20th of September, Laurent Loudeac, Chef of Museum Hotel in Wellington, New Zealand, will fly in to showcase his creations and flair for excellence and taste. Chef Laurent Loudeac was born in Châteaubriant in western France. Among his early tenures included the La Ferriere in Switzerland, and he continued to work for three years there, in Australia for an OE, and then to London for a year at the Hilton hotel, Kensington. Laurent then moved to New Zealand in 1995. Accolades followed after he moved down to Wellington as sous-chef of the fine dining Kimble Bent’s restaurant at the Park Royal, which won the 1997 Corban's Food and Wine Challenge for Best Hotel Restaurant working with a young team which included Chef Dwayne Cheer Alila Villas Soori’ Executive chef. After a three-year stint at the hotel, Laurent decided to move to Sydney for two years where he worked as sous-chef at the famous Level 41. He then became head chef at Orso Bayside restaurant in Mosman on the North Shore for a year again sharing his knowledge with Chef Dwayne. He flew back to France in 2001, enjoying the abundance of foie gras and duck confit and the southern hospitality. He even bought an old stone house from the 18th century and restored it. Returning to Wellington, Laurent became head chef at Hummingbird for four years, reaping numerous awards before joining The Museum hotel. Join and witness Chef Loudeac as he goes back to the future to again work together with his previous apprentice as the join forces to bring their colourful years of global culinary adventures. Along the journey of taste you will experience premium quality of wine pairing from the internationally recognised French winemaking family of Henri Bourgeois of Sancerre, which has crafted quality premium wines for ten generations, and established the Clos Henri vineyard in Marlborough, New Zealand. The first Clos Henri wines have been made in 2003 and subsequent vintages benefit from being made on the Clos Henri terroir. Award-winning Clos Henri selections at Alila Villas Soori’s September dinner will include the Henri Bourgeois Sancerre Blanc La Jadis 2009, the Henro Bourgeois Pouily Fume en Travertin 2009, the Bel Echo Pinot Noir 2009 (which scored 18/20 on the Raymon Chan Wine Reviews in 2011 and 90/100 in Wine Orbit December 2013), the Clos Henri Sauvignon Blanc 2009 and Pinot Noir 2008 (of which the latter gained silver medal at the 2011 Japan Wine Challenge and scored 90/100 by Robert Parker in October 2010). 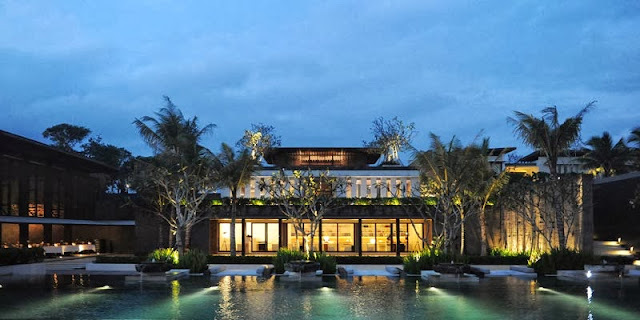 Alila Villas Soori gives the sophisticated traveler the option to stay at a luxury resort in West Bali. Located along the southwest coast of Bali, in the Tabanan Regency, the resort is just 20 minutes from Tanah Lot temple, and over an hour from Ngurah Rai International Airport. 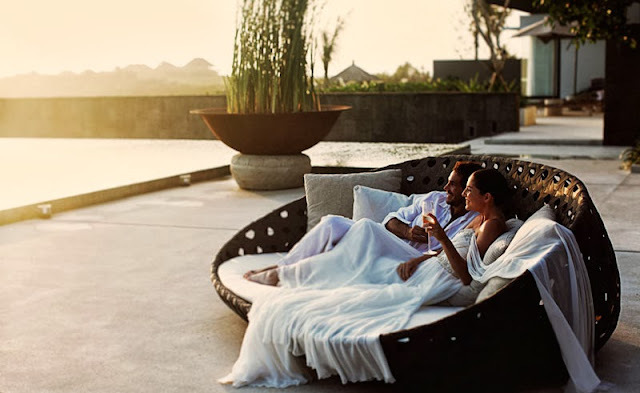 Set in one of Bali’s most fertile and picturesque regions, Alila Villas Soori lies between beautiful black-sand beaches and verdant rice terraces, with the mystical Mount Batukaru in the distant horizon. Designed by Singapore-based SCDA Architects, Alila Villas Soori is an inspired expression of contemporary Asian architecture that blends seamlessly with the lush surroundings of its tropical beachfront setting, and which has been designed, constructed and managed in accordance with Green Globe international environmental standards.